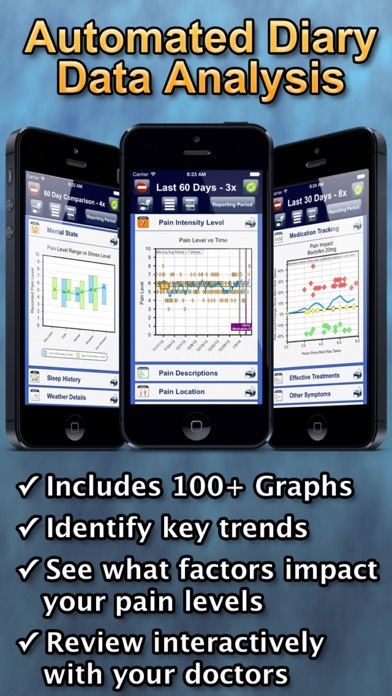 How does this app not have a menstrual cycle data field under “General Health Tracking”? Even just an icon with the cycle day would be helpful, since an enormous amount of chronic pain and autoimmune issues are tied to the menstrual cycle for approximately half of the population. I’ve been using the app for a little over a month. It’s super easy to use, pretty thorough and customizable. I wish it had a food log, but I guess I could be doing that on the general comments section, just want it to be differentiated from general. The reports are great and I’m excited to see if there are patterns to my pain - my doctor and acupuncturist wanted me to start something like this so we can find out if there’s a way to reduce my issues. I've been using this app for almost 6 years, and it's awesome. 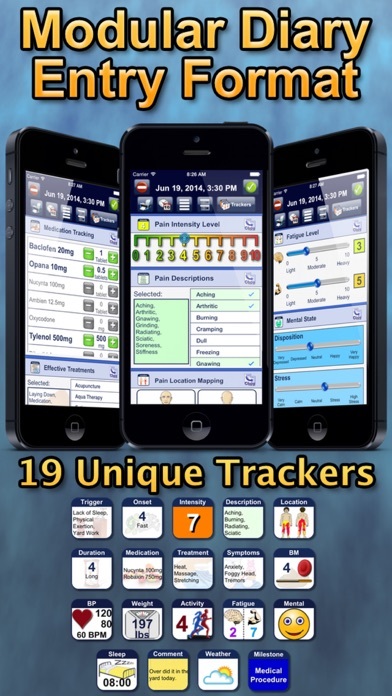 It can track all sorts of stuff, and is very easy to customize to your situation. Pretty much every need I take gets recorded, so I have complete history of what I took for any given day. The reports have shown me trends that I missed, and have helped me identify pain triggers and solutions. Support is quick, with emails replied to within a day. The one thing I truly miss is the multi device sync functionality that was removed a couple of years ago when Dropbox changed their api. I'd pay extra for this to be restored! Heck, the app is so useful that I'd pay for a new version since it has been many years since I first purchased it and it doesn't feel fair to expect support forever without contributing towards the costs. I highly recommend this app if you have any chronic issues. 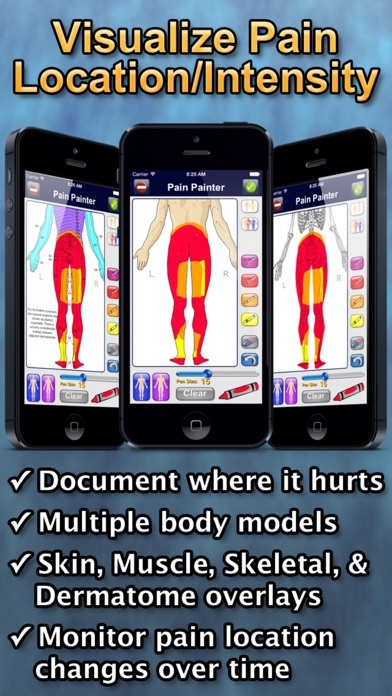 Even non-pain related things are easy to track. I've been using this for years they keep making it better and better. Thank you from the bottom of my heart. And thank you for the updates. I just bought this so I haven’t discovered everything. I like that it tracks the weather with your pain. Rain always makes it worse. I haven’t looked to see if the moon phases are tracked. That usually affects sleep. I can add entries as the day goes into the diary. This is helpful as my pain doesn’t often last at the same intensity all day. Good app but lacks certain things. I really do love this app and it’s very easy to use. However the fact that I can’t connect my phone and iPad together is very annoying to me. I give it five stars if they fix this feature. 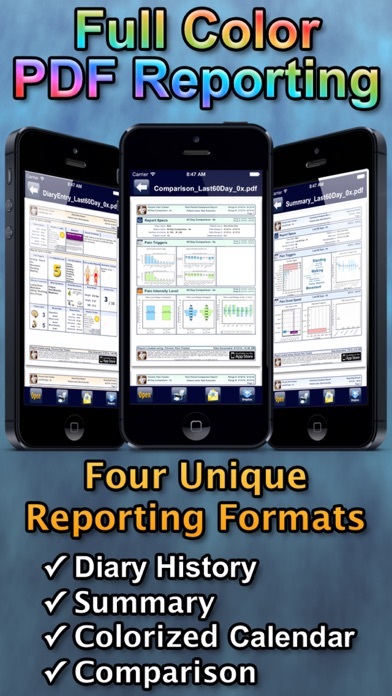 I love everything about this app, except for the canned, limited reports. I can customize my meds, pain, symptoms, and set up some custom templates. Let’s face it, we track weight only once a day and hopefully don’t have to think about it again. I also like the milestone markers for noting when certain changes happen like meds, doctors, and lifestyle. I make about 5 entries per day. After 5 months I have a really good idea of how everything works together in my body. Last week I made a fantastic discovery that taking two particular meds together increased my pain. By separating these by a few hours, life has become much more manageable. Now the reports. There are a paltry amount of reports which can give an overview but I’d like to see much more details. How about all medications by day or month. How many units of pain meds did I need in a period of time? How about line charts to show progression? I do like the histograms. And the comparison report is the most useful, when it works. If I do only 14 days, it usually runs. But can’t do a month or more. Reports should provide some user feedback when it times out. I could sit here for 30 minutes and it just keeps spinning but nothing happens. I do recommend the app though. Start tracking now and perhaps reporting will be improved soon. 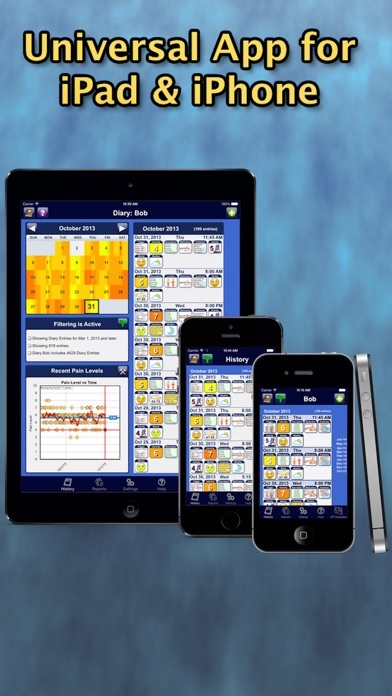 Ihave spent a long, long time looking for an app that would let me track everything I need to track with my health. This one does it and it’s fairly intuitive to use, a problem with a lot of trackers. I only have one request that would convince me to give it 5 stars. That would be a place somewhere in the sleep tracking to track if I used my CPAP, how long, and how many apnea events per hour (AHI) I had on a given night. These details have a significant impact on my pain levels and are questions I’m almost always asked but my docs.